Established in 1973 by Hirotoshi Honda, son of Honda Motor Company founder Soichiro Honda. Mugen is an engine tuner and parts manufacturer closely associated with the Honda Motor Company. The company tunes and races Honda vehicles in various GT competition. Mugen has won the Formula 3000 championship in 1990 and 1991, participated in Formula 1, and up to 2005 was the exclusive supplier of Formula ...READ MORE Nippon engines. 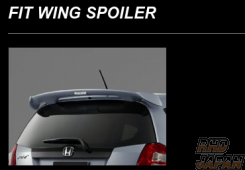 Mugen offers a wide variety of tuning parts for just about anything from Honda's extensive lineup of cars.